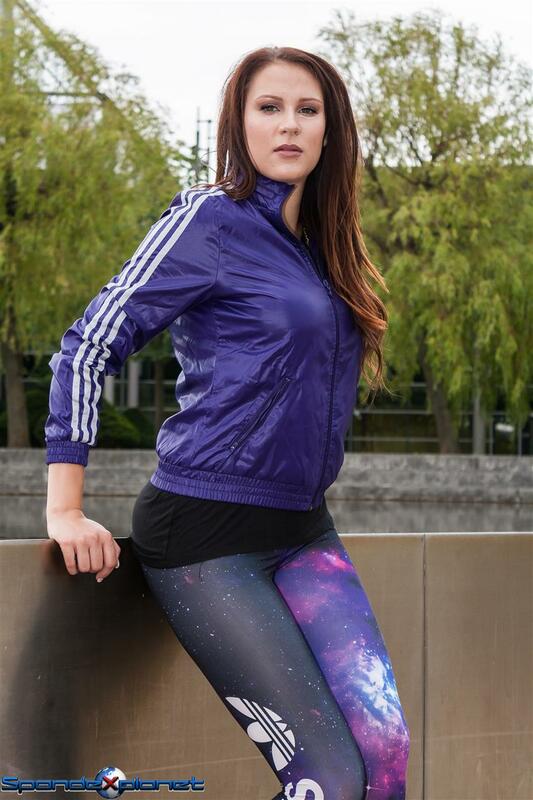 I first saw this Adidas Galaxy Leggings on a fashion blog I stumbled upon. 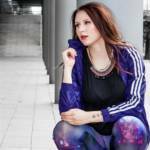 This blog here Conleys Fashion Blog had some pictures of the leggings and a link where to buy it. I went in search of a cheap source of supply. After a while, it became obvious that this source did not exist. So I started the project in the back. Two years ago, I found an unnoticed auction on eBay, with several leggings. Included was the Adidas Galaxy Leggings. I was lucky and won the auction. 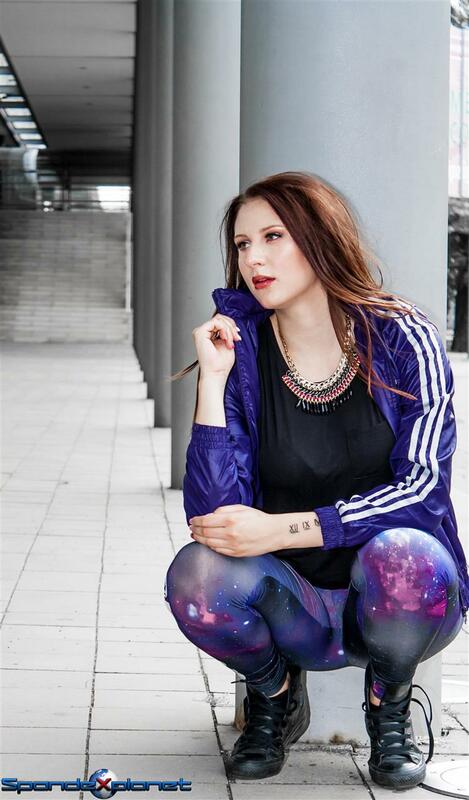 When I prepared the shoot with Katya, I remembered the Adidas Galaxy Leggings again. In combination with my purple Adidas windbreaker this would be great photos. Katya had obviously liked the outfit. She let me repeatedly shoot on the camera and played on the jacket and leggings. One week after the shoot, I received a message from her if I did not want to sell her the leggings. Of course, I kept the leggings. She lies freshly washed in the closet and waits for her next assignment.